What I love about success is that you can set the bar as low as you like. I consider my day a successful one if I manage to time leaving my flat to walk to work so that I arrive at the traffic lights at the bottom of Nelson Street during the thirty second window of a five-minute turnaround when it is possible for a pedestrian to cross without risking life and limbic system. Now I come to think of it, success in other people's eyes may be considered more important and be significantly harder to come by. 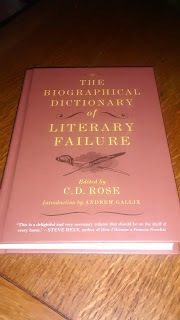 All this musing on the nature of success may have been brought about by the book I have been reading this week: The Biographical Dictionary of Literary Failure. This work of fiction started life as a conceptual art project by my friend C.D. Rose. Over the course of a year, he composed 52 biographical sketches of failed writers, uploaded them to this website (that now bears only an epitaph) and then deleted the archive. Melville House Publishing obviously thought that artistic completeness was an insufficient reason to lose these satirically astute literary portraits and practically bit his hand off to secure the publishing rights. 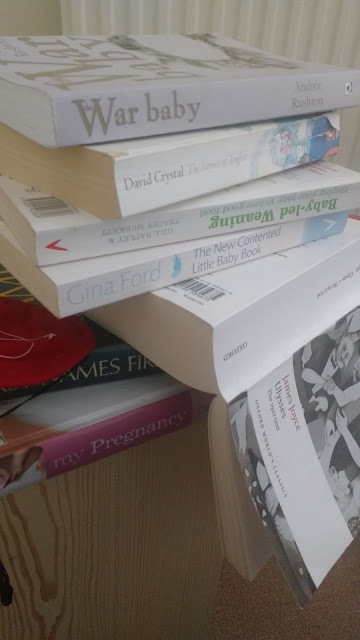 I've tried my hand at book-reviewing once before when I was still experimenting with a voice and purpose for this blog. I can't say it is a form that comes easily to me. The BDLF has already been reviewed by the Huffington and Washington Posts - both of whom follow the golden rule of book reviewing: start with a seemingly unrelated quote/fact/amusing story about traffic lights and then drop the book review in as if it was a footnote in a longer conversation about Anton Chekov, Samuel Beckett or the nature of success. 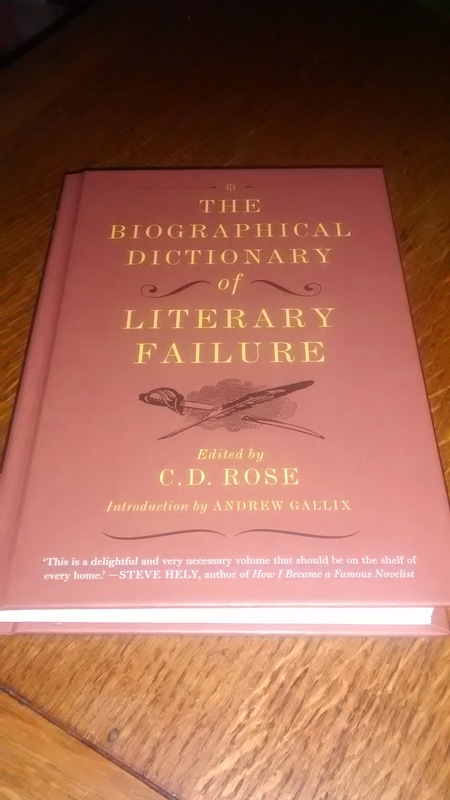 When you look up "success" in the index of The Biographical Dictionary of Literary Failure, it says simply "See failure", when you look up "failure" you are directed "passim". I hope the editor will see it as a compliment when I say that this would be a particularly good bathroom book. (Terry Pratchett once observed in a footnote that all the best books wind up in the bathroom or certainly the funniest and most read ones) I recommend all of you buy a copy for each bathroom in your house. Buy it from the publisher or, if you live in Norwich, pop down the Book Hive on London Street and get a signed copy.